A ray of hope shone for widows and refugees of Ambazonian extraction when Belinda Babila Foundation reached out to them at a refugee camp located in Ogoja, Cross Rivers State during the Yuletide season. Founder of the foundation, Dr. Belinda Babila said it was a very touching experience to reach out to the widows. “Speaking to the refugees one-on-one was quite touching. We visited the Cameroonian refugees at the Adagom Settlement in Ogoja LGA, Cross Rivers State, and we had a three-day empowerment outreach”, she noted. Among others, over 200 patients got referrals for further evaluation while school uniforms were handed to school children. Hygiene packs were also handed out to teenagers. A huge quantity of medical supplies was donated by Rhemacare Clinic. Ambazonia is a self-declared state consisting of the Anglophone portions of Cameroon, which previously comprised South Camerouns. In 2017, the Southern Cameroons Ambazonia Consortium United Front (SCACUF) declared independence but the Cameroonian government stated that the declaration has no legal weight and this has culminated in a refugee crisis that has displaced thousands of Ambazonians. Over 30,000 Southern Cameroonians are currently in asylum in Nigeria — they are located in Cross River, Benue and Taraba states. Many more are still coming as the government of President Paul Biya clamps down on Southern Cameroon dissidents who are agitating for Ambazonia Republic. In Nigeria where those who fled the country are seeking asylum, they have not found solace as they live in constant fear of arrest, extortion and deportation as revealed in this report. AKUME Joshua has mixed feelings about the safety of his family in Nigeria despite running away from President Paul Biya’s troops on December 18, 2017. In Calabar, Cross River State where he lives in the asylum with his wife and son, the fear of an imminent arrest and repatriation to Cameroon hunts him every night. A supermarket owner back in Southern Cameroon, Joshua lost his grocery store to the crisis and now go for a scrounge in Nigeria. Since October 1, 2017, when fighting broke out in the Anglophone Cameroon, where the English speaking minority declared independence from Francophone Cameroon, under the name Ambazonia Republic, more and more Southern Cameroonians have fled the country, seeking asylum in Nigeria. Roughly 20 per cent of the country’s population of 24.6 million people are Anglophone. Attacks and raids on villages in Southern Cameroon by government armies have intensified since after election when 85-year-old President Paul Biya won another re-election—his seventh term in office. There has been an air of uncertainty among the people. On June 10, when refugees filed out for food distribution at Cross River State Emergency Management Agency (SEMA) office in Calabar, a letter from the Cameroon Consular addressed the director general of the agency asking that the refugees be arrested because they are not refugees but terrorists, and should be arrested and send back to Cameroon. “When this information got to us we were afraid, there was panic among us,” he says. This has kept Joshua and his countrymen in constant fear. The matter became worse when Nigerian security operatives restricted the movement of refugees within the country despite an Identity Card issued by the National Commission for Refugees, Migrants and Internally Displaced Persons. Refugees, he says, are now veritable means of extortion for the security operatives. “Freedom of movement of refugees has been a problem- we can’t move from town to town freely. Even with your yellow card, certificate of asylum issued by the National Commission for Refugees they still stop them and tell them that they are not supposed to move within the country. Most time they extort money from them – sometimes, people pay as much as N30, 000,” he says. “I just had a meeting with the State Commissioner of Police on those matters and we are also working with the Immigration and the Army over it,” he said. The allegation is not a one-off experience—seven Southern Cameroonians who just escaped into Calabar were arrested by men of 13 Brigade of Nigerian Army. But for the intervention of the Refugee Agency they were released, Joshua said. Also, they allege that men of Nigerian Immigration Service also declined to recognize the Identity Card issued by the Refugee Commission. “The Immigration intimidates us most often, they claim not to recognize us, sometimes we have to call the UNHCR staff,” Ako Albor, Vice Chairman of Southern Cameroonian Refugees in Adagom Refugees Resettlement, Ogoja Local Government says. But the refugees are unhappy that their plights have not received the attention it deserved from the international community and the media. Quite frankly too, talks about the crisis between Francophone and Anglophone Cameroons that has displaced more than 160,000 within Cameroon since 2016 have not gained prominence among world leaders. Leaders of Southern Cameroonian refugees in Ogoja, Cross River State. According to him, the recent victory of Paul Biya in the general election dashed their hope of any quick resolution of the crisis. The return of Biya has led to more clamp down in the country− his immediate actions show that he is not working towards any immediate resolution, Albor says. As the world keeps mum about the crisis, international media also appears to be looking the other side from the civil war. Ignatius Mezam, a teacher in Southern Cameroon laments that international media such as the Cable Network News (CNN) and Aljazeera have not given their crisis the required attention. “When you look at other revolutions going on across the world, they are prominent in the news, but you don’t hear about Southern Cameroon issue,” Mezam says. On a daily basis, the population of Southern Cameroonian refugees in Nigeria keeps increasing, Tunde Akinsanya, Calabar Zonal Director, National Commission for Refugees, Migrants and Internally Displaced Person revealed. Many more are running away from their homes as government forces keep arresting dissidents and setting villages ablaze especially after the election. Data obtained from the office of UNHCR revealed that there were 23,620 refugees as of October 31 in Cross River State. Of these figures, 10,386 of them were male while 13,234 were female. While there were 333 births since January, the number of children among the refugees stood at 11,514. By the middle of October, there were about 28,000 of the refugees registered by the Nigerian National Commission for Refugees, Migrants and Internally Displaced Persons. However, as of early November, a top staff of the UNHCR who would not want his name mentioned revealed that the figured has gone up to 30,000. Of the over 30,000 refugees, 5000 of them are currently at Adag0m Settlement in Ogoja and over 60 per cent of them are of school-age children- many of the children are those separated and unaccompanied. Those identified are kept with foster parents in the settlement, a UNHCR says. “This is not necessarily the true reflection of incoming, they are still coming. There are some who do come and do not report here but just settle in the nearby village,” says the official who also pleaded for anonymity. We have been receiving people in terms of surge of refugees who keep coming to Nigeria, says a UNHCR Protection Officer in Calabar, the capital city of Cross River State. When will this end? Osany Juliet has been living in perpetual depression since gendarmes in 2017 killed her father and arrested her husband — he is kept in a prison in Buea, Cameroon. October 7, 2017 —exactly 3 pm, a helicopter loaded with government troops landed in Daddi village in Akwaya, Manyu division, everyone in sight was shot at and killed, recalls Juliet, a mother of two. Some days, she wonders if she will ever see her husband again, or if her life will ever remain the same without him. “Right now, I don’t know how he is doing, I know that the situation with him is not an easy one,” she says with wet eyes. She is in Calabar where she hopes that life can again be better for her— though Juliet admits coping has been somewhat herculean with two kids and an elderly mother to cater for. “Please if there is any way you can help me, please you do,” she appealed to the reporter. Like Juliet, life is becoming more hopeless for Abunaw Lucy and her four kids. A look of anguish sweeps across her face at the thought of the fate of her husband whose whereabouts is unknown after he escaped arrest by government troops on June 9, 2017. After two arrests and two detentions with her six-week-old baby, she escaped through a forest to Nigeria via Ikom, Cross River State. Her baby ended up with a respiratory infection after those two days spent at the military detention facility. The couples and their children were living in Manfe, in Manyu, South West Region, but Abunaw David, was on the targets list of the government for his involvement in the struggle for independence. David was the spokesperson for Justice Ayah Paul Abine− a presidential candidate of the opposition party, People’s Action Party in 2011−arrested January 21, 2017, by gendarmes on an allegation of hostility against the nation. But the mother of four is still uncomfortable despite being in Nigeria because, according to many Southern Cameroonian refugees, the Cameroonian Consular in Nigeria has designated them terrorists who should be handed over to the Cameroonian authority. There are claims of arbitrary arrests of refugees by Cameroonian forces. Every day, she wakes up with the fear of a possible arrest and extradition by Cameroonian government. “They may be sending spies to monitor refugees’ movement and activities so that they can arrest and extradite us,” she says as her voices cracks with fear. Tears and hopelessness After sleeping on a mat throughout the period of her pregnancy, 23-year-old Ata Jennifer − a Southern Cameroonian − finally gave birth to a healthy baby boy sometime mid-October at a hospital in Ogoja Local Government. “I slept on the mat until I gave birth,” she says. With a three-week-old baby in a Refugee Settlement in Adagom, Ogoja and among 5,000 Southern Cameroonians being settled at the camp −the crisis back home casts a bleak shadow over her future and that of her newborn. For her, it was by providence that she gave birth to a healthy baby without complications− at the moment, most pregnant women among the refugees did not have access to an ante-natal clinic during pregnancy –and living conditions at the settlement made the prospect of any easy delivery doubtful. But Jennifer was lucky; she and her baby are healthy, though help from the United Agency for Refugee, UNHCR did not get to her when she was in labour pains and eventually delivered of a baby at a hospital. With her baby and her younger sister, she shares a tent furnished with a mat and a blanket. Her shelter is among the 140 just constructed by UNHCR. The young mother was writing a final Advanced Level examination to proceed to the university when she and her family fled their home. After a perilous journey through forest and river, Jennifer in early stage pregnancy made it to Nigeria on November 17, 2017 – her father was not so lucky— he died in the forest of shock — the second day of their escape from home. With the help of fishermen, she alongside her mother and sister sailed safely to Nigeria. “It was very critical running with pregnancy, but I had to manage because there was no option,” she said of her ordeals running to Nigeria particularly with pregnancy. Suckling her three-week-old son in front of a temporary shelter provided by the UNHCR, Jennifer speaks of how her father was declared wanted by the Biya-led government and how critical it was for her running with pregnancy from the gendarmes. Amidst sobs, she says the accusation against her late father was unfounded. “Odeshi is a secret cult whereby boys put marks on their body, it is called gun proof. That was what I heard which was a lie; my father did not do such a thing,” the 23-year-old Jennifer said. For her and her baby, surviving in a refugee camp has been very challenging. Often, passersby offer her money to eat and take care of her baby because the relief package from the Refugee Agency did not get to her. At Adagom, there were 15 deliveries in the last two months, but some of the babies died, during after delivery due to poor health care services at the settlement, says Albor who lives at the settlement. There are other new arrivals who are pregnant and without tents yet. “They sleep in the hall and they eventually deliver, we have some cases of them. They are forced to sleep on the floor together with their newborn babies,”Albor says. Birthrate at the settlement is overwhelming the refugee Agency−it has stopped distribution of baby kits to nursing mothers because there is a shortfall in the supply. The leadership of the refugees revealed that the Agency no longer distribute baby needs to nursing mothers in the settlement. Save the children, an organization that focuses on child Protection, child poverty, education, health (WASH) & nutrition), was involved in the provision of baby kits for pregnant women and nursing mothers among the refugees−but has not resumed such gesture since refugees moved to Adagan Settlement in Ogoja. What was provided by the Southern Cameroonians in the Diaspora at the inception of the settlement is also exhausted. 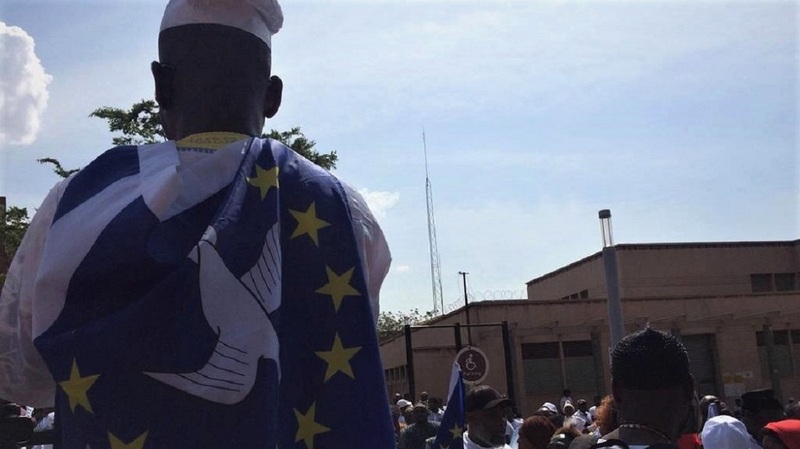 The Southern Cameroonian refugees in Nigeria have accused the international community and the African Union (AU) of not doing enough to proffer political solution to the crisis going on between Anglophone Cameroon and the Francophone side led by President Paul Biya. The aggrieved refugees also carpeted international media for under-reporting their plights since October 1, 2017, when a crisis erupted between the Anglophone and Francophone Cameroon after the formerly declared independence. 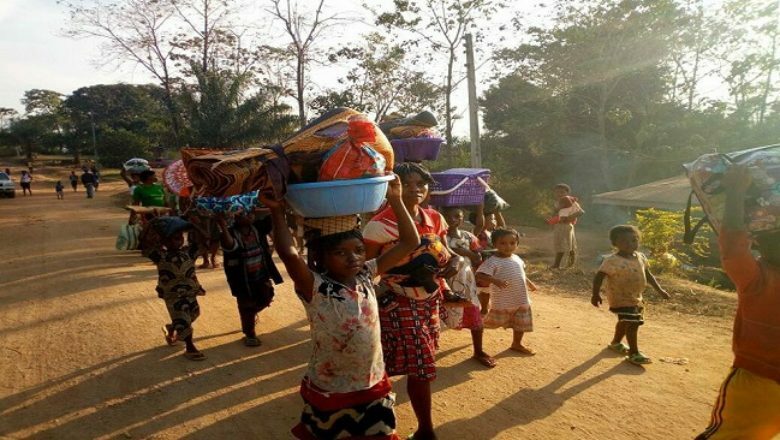 Ako Albor, Vice Chairman of Southern Cameroonian Refugees in Adagan Refugees Resettlement, Ogoja, Cross River State, lamented that the international community has been ‘dormant’ on their matter. He said that AU, Nigeria, Ghana, South Africa and other countries were supposed to be the first stakeholders in their matter but have done little or nothing to resolve the crisis. He said Nigeria should be the first to stand openly with Southern Cameroons, adding that Nigeria should not shy away from speaking the truth. The return of Biya has led to more clamp down in the country− his immediate actions show that he is not working towards any immediate resolution, Albor said. Ignatius Mezam, a teacher in Southern Cameroon lamented that international media such as the Cable Network News (CNN) and Aljazeera have not given their crisis the required attention. “When you look at other revolutions going on across the world, they are prominent in the news, but you don’t hear about Southern Cameroon issue,” Mezam said. War broke out between Biya-led government and Southern Cameroonians after the latter on October 1, 2017, though a minority, declared independence under the name Ambazonia Republic. Tens of thousands of Southern Cameroonians have fled the country in the wake of the clampdown by the Francophone Cameroonian government. Over 30,000 of them are currently under asylum in Nigeria− Cross River, Benue and Taraba state, according to National Commission for Refugees, Migrants and Internally Displaced Persons and UNHCR.